Located in the heart of the Bedfordshire countryside, our tranquil manor house hotel is replete with 34 comfortable bedrooms and suites. Located in the heart of the Bedfordshire countryside, our tranquil manor house hotel is replete with 34 comfortable bedrooms and suites. Each individually furnished room is tastefully decorated, exuding countryside character and charm. Cosy beds, fluffy pillows and soft linens ensure that all our guests enjoy a perfect night’s sleep. Need a place to collapse after a night of celebration? Looking for a restful sleep before an important business meeting? Want an authentic country house hotel for a rural weekend away? Whether for weddings, private parties or corporate events, Woodland Manor is available all year round for exclusive hire. Our manor house country hotel provides convenient and relaxing accommodation, whatever the occasion. Click on the following link to find out more about hiring Woodland Manor for your event. From a light breakfast to something more substantial, our hotel guests have plenty of dining options available to them. Eat out in our stylish restaurant, or opt for something more informal with our cosy lounge bar. Our menu includes a range of delicious dishes from the British Isles and around the globe, with a wide selection of international wines and beers to match. Our venue features three generous suites for guests. 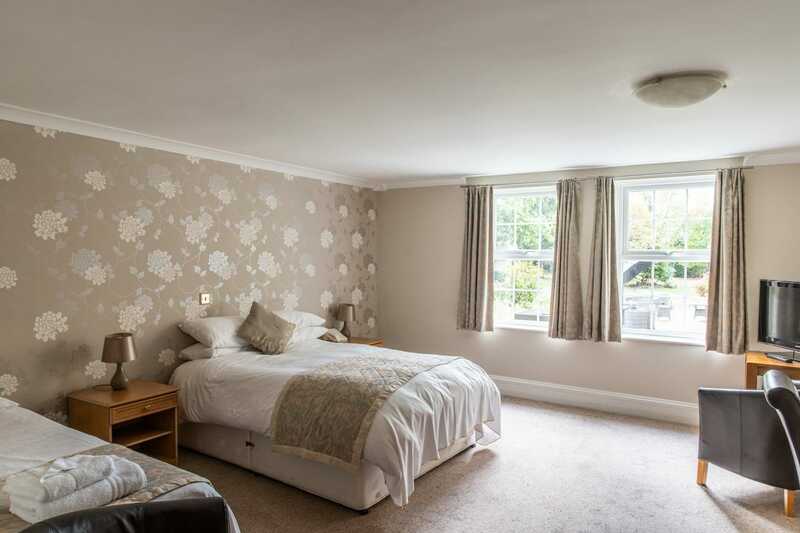 Woodland Suite – perfect for special occasions, this spacious bedroom includes a separate dressing room and seating area. 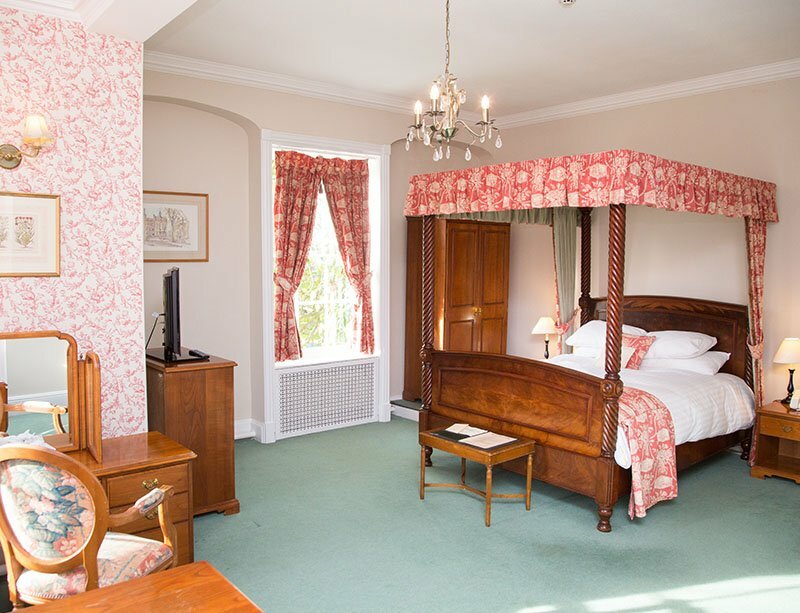 Bunyan Suite – this room boasts a four-poster bed with fantastic views of the garden and woodland. Signature Suite – located on the ground floor, this spacious suite has French doors leading out onto the beautiful garden. To book your room at our country house hotel, please call 01234 363281 or email reception@woodlandmanorhotel.co.uk.